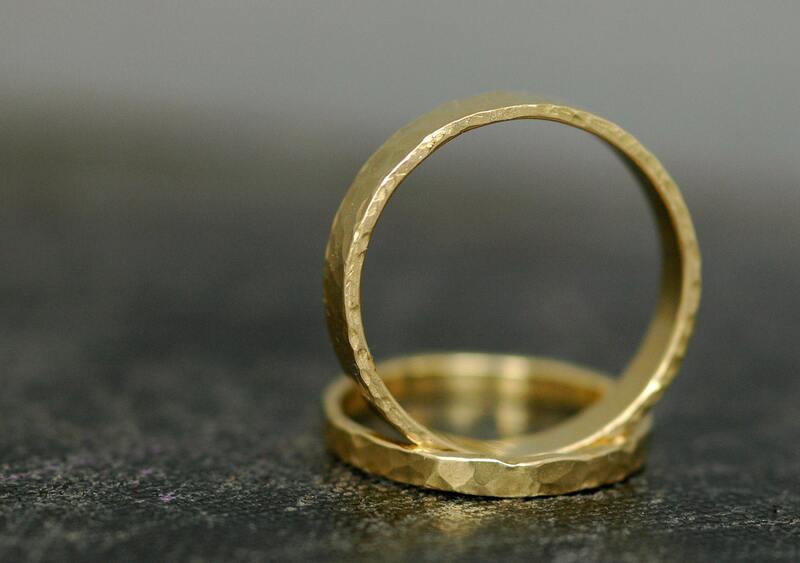 I begin these rings by cutting and forging a strip of luscious, 18k gold. After the ring is forged and soldered, I give the bands a hammered finish with a ball peen. The edges of the bands are also hammered, and the interiors have a high-shine polish. Any other finish you see in my shop is available on these bands- they do not have to be hammered. They also do not have to have matching textures. I can also make these bands in 18k white or 18k rose gold. 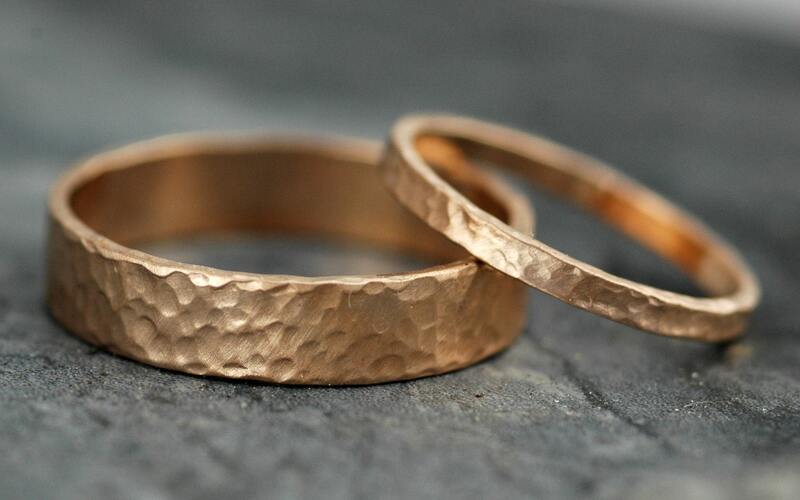 The first photo shows hammered 18k rose gold. 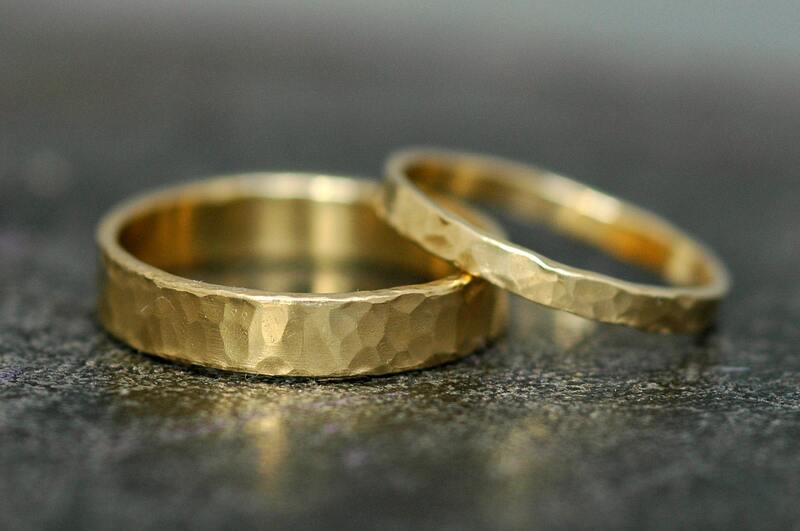 The remaining photos are of an 18k yellow gold set. 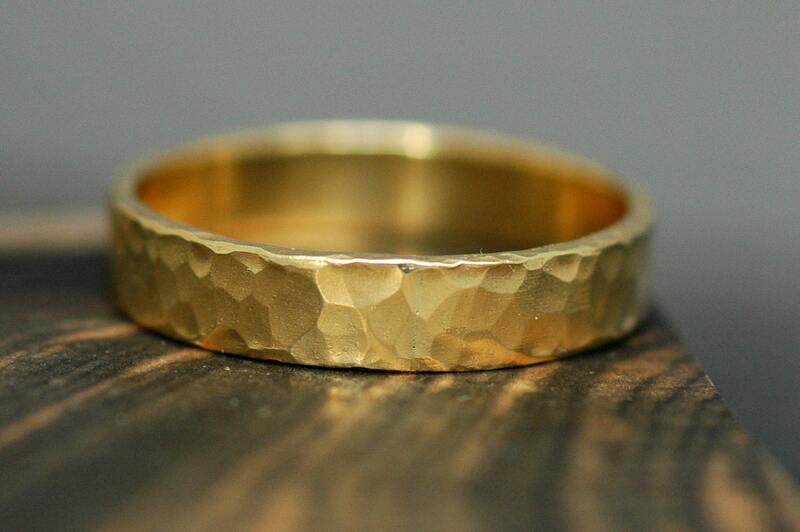 All of my gold is recycled, and is smelted in the most environmentally-friendly method possible. Please note that I never rhodium plate my white gold- I much prefer the warmth of white gold's true colour, and strive to avoid creating high-maintenance pieces (rhodium plating needs to be regularly redone). 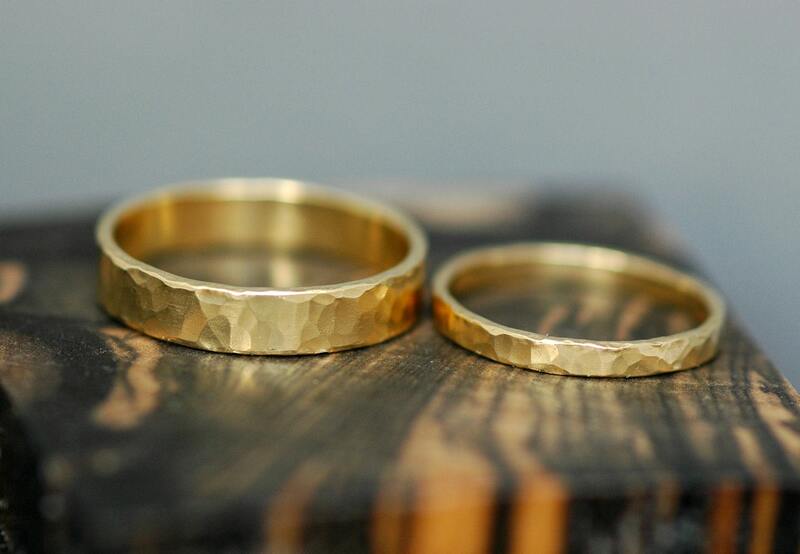 If you would like to have your bands done in other widths, or with other karats of gold, please get in touch through my shop. Like all of my rings, these are completely hand-forged in my shop, so any type of variation in design/materials is possible.